Image courtesy of Yuriybrisk on Wikimedia Commons. We’ve written before about the benefits of looking to our past for nutritious foods. Many ancient cultures thrived in part because of the healthy, natural staples in their diets such as amaranth and quinoa in Mesoamerica, the adzuki bean in Japan and seaweed in Asia and the British Isles. Today, we’re bringing you a recipe for a delicious smoothie that features an ancient ingredient called kefir. It’s the perfect nutrient-packed start to your morning. 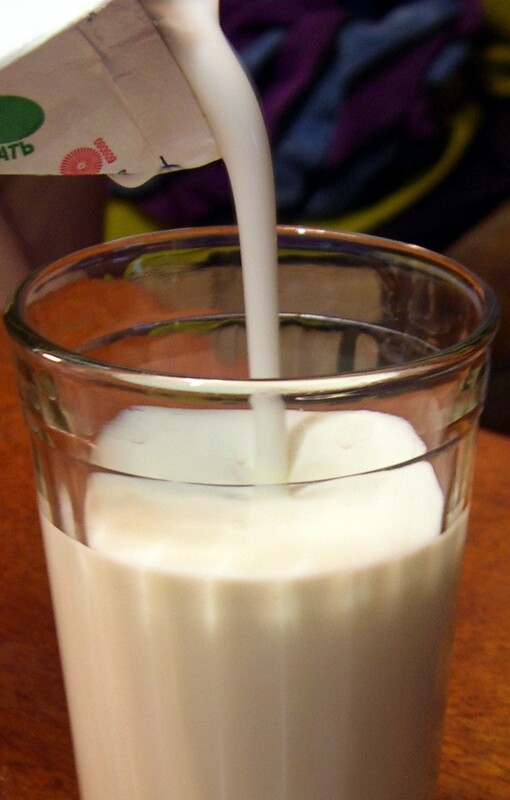 Kefir is a fermented milk drink with a consistency similar to drinkable yogurt. It originated centuries ago with the nomadic, shepherding peoples of the Caucasus Mountains. The exact date is unknown, perhaps because the making of the drink was a closely guarded secret for many years. The process of making kefir was a simple one. Milk from cows, goats or sheep was poured into watertight, animal skin bags before adding the kefir grains, which we’ll discuss below. The bag was then hung out in the sun. After sunset, the bag was brought inside and suspended near a place of high traffic where everyone would poke and prod it in order to make sure it stayed well-mixed. As the fermented drink was consumed, more milk would be added and the process would continue on and on uninterrupted, an efficacious process since the kefir grains are self-sustaining. 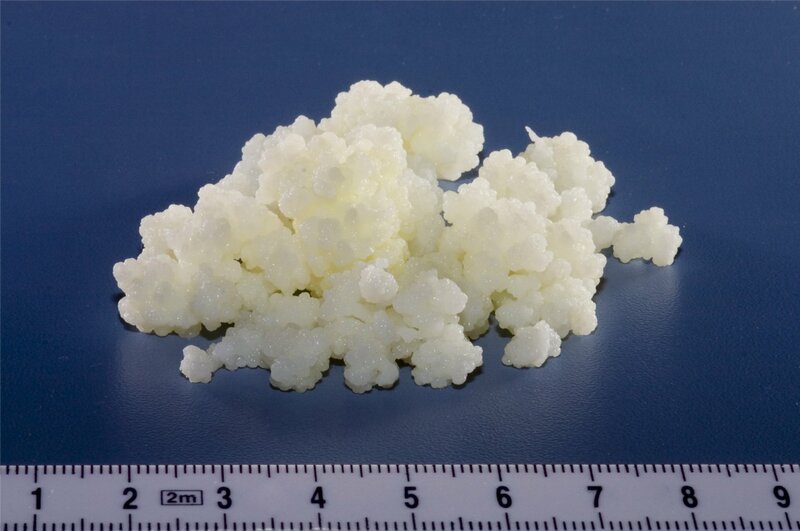 Kefir grains. Image courtesy of A. Kniesel. Kefir’s health-giving properties are due to the kefir grains, which have been referred to as “magical grains” because their origin of discovery is so mysterious. “These grains are composed of microorganisms immobilized on a polysaccharide and protein matrix, where several species of bacteria and yeast coexist in symbiotic association”. They are actually not grains at all and appear similar to tiny cauliflower florets. Speculation as to the discovery of these tiny powerhouses has created several myths over the years, including one that maintains the grains were the actual manna from heaven that the Israelites received from God when they were wandering in the desert. 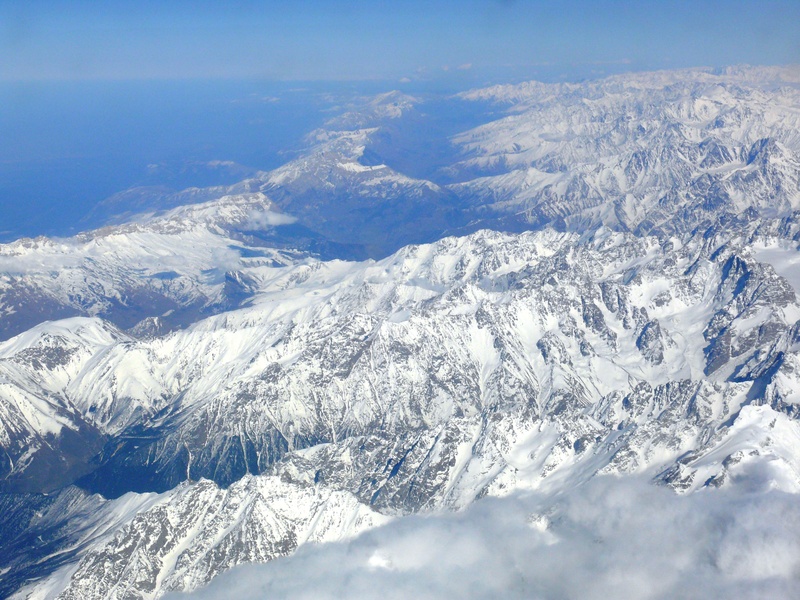 Aerial view of the Caucasus Mountains. The most well-known legend comes from the Islamic people living in the Caucasus Mountains. It tells how the Prophet Mohammed gave the so-called “grains of the Prophet” to the orthodox tribes in the region and told them that if they shared these grains, the grains would lose their potency. The grains were kept as part of a family’s wealth and passed down from generation to generation in order to ensure their continued existence, but only among followers of Mohammed. Travelers to the Caucuses could sample the drink and many were amazed by it, but the recipe was never shared. Not even the famous explorer Marco Polo was able to learn its secret, though he did write about the drink in his chronicles. Regardless of how the grains were discovered, the people of the Caucuses knew their worth and so did those outsiders who were lucky enough to try the fermented drink. Finally, at the end of the 19th century, kefir made its way to Russia and was eventually shared with the rest of the world. The tale of its escape from the Caucuses is legendary and whether true or fictional, it is befitting a drink with “magical” grains. The story goes that a group of Russian physicians decided they must have access to the drink. They charged dairy owner Nikolaj Bandalov with obtaining the grains. He concocted a plan in which his beautiful employee, Irina Sakharova, would be introduced to the Caucasian Prince Bek-Mirza Bachorov. She would convince him to share the grains with her. He was not convinced, but when Irina left his court he had her kidnapped and then offered to marry her. Russia was not pleased with the prince’s actions and threatened to prosecute him. Instead, the prince handed over the secret grains. So why should you indulge in ancient fermented foods like kefir? Because it’s good for you! Fermented foods aid in digestion and kefir yogurt is loaded with healthy bacteria. Also, people who are lactose intolerant and struggle with dairy digestion can enjoy yogurt because the lactose has already been gobbled up by bacteria. Kefir, specifically, is a fantastic source of magnesium, calcium and B vitamins. Also, it is rich in enzymes and complete proteins that are already partially digested and therefore easy for your body to use. Thankfully, whether through spy-movie tactics or by some other less exciting method, kefir was spread throughout the world and we can enjoy its incredible, nutritious deliciousness today. Useful in many recipes, we’re bringing you a simple smoothie that showcases the versatility of this ancient drink. The sweetness of the cherries pairs perfectly with the tangy tartness of the kefir. Want more of a nutrient punch? Add some greens. Whatever your concoction, enjoy the magical gift of kefir! *If your fruit isn’t frozen, add a few ice cubes to the mix. Place all ingredients into a blender and blend. Use smoothie setting if possible. Pour into a tall glass and sip away! *You can add some spinach or other greens if you’d like a bit more fiber. Experiment with different fruits and veggies. Kefir goes with everything! Why I Love Kefir and What Are Kefir Grains? This entry was posted in Blog, Bon Appetit Wednesday, Culinary, Culture, Healing Arts, Science and Technology and tagged ancient fermented foods, ancient history, ancient kefir, ancient recipes, AntiquityNOW, Bon Appetit Wednesday, Caucasus Mountains, kefir, kefir grains, kefir smoothie. Bookmark the permalink.